For the second year in a row I've been caught out by a late album in the year, in that, had I discovered it before the end of the year it would certainly have made my Top 5, if not higher. 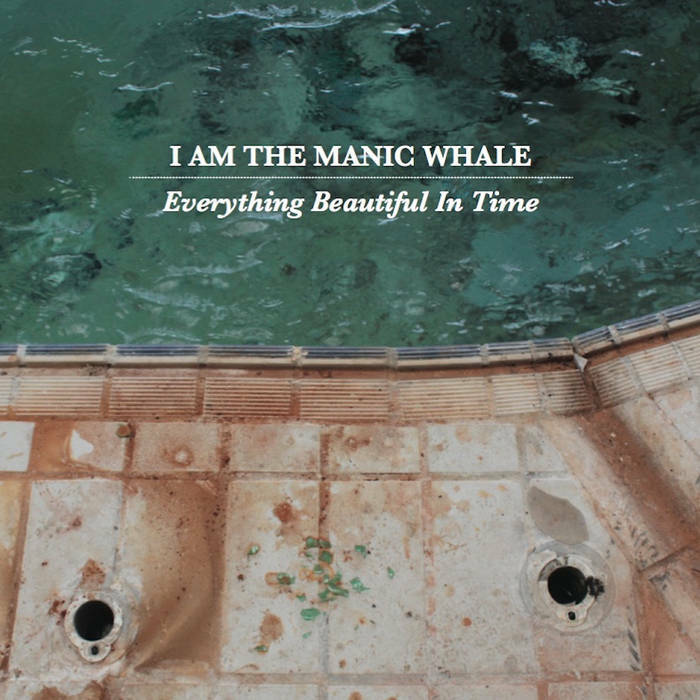 Last year it was Tiger Moth Tales' stunning debut 'Cocoon', and this year it's another debut: the quite spectacular 'Everything Beautiful In Time' by the gloriously named 'I am the Manic Whale'. The project is the work of Michael Whiteman (bass, keys, voice & song writing), ably supported by Ben Hartley (drums, percussion & backing vocals), David Addis (guitars & backing vocals), John Murphy (keys & backing vocals) and a couple of appearances from Ella Lloyd (flute). The band name, it seems, is an anagram of Michael A Whiteman. Musically this is modern progressive rock of the highest calibre and quality, which draws on the vast store of all that has gone before it, with hints for me of neo-prog giants IQ and of American band Kansas, and the narrative lyricism of Big Big Train. The links with BBT go a little further too, as the album was mixed and mastered by 'the ninth Train' Rob Aubrey. These are songs about perception: 'Open Your Eyes' about our inability sometimes to see the beauty in front of us; 'Pages' about the evolution of publishing from monks copying manuscripts by hand, through the development of printing, to the ubiquity and potential of the internet, so often sadly under-used ("I've a machine in my hand a thousand times faster than the bombe that broke enigma's code: I could use it to read every book ever written, but I use it to look at pictures of kittens. "); 'Princess Strange' about the dangers of cyber bullying; 'Circles (Show Love)' about the abuse of media in general and tabloid journalism in particular. The second half of the collection begins with 'Clock of the Long Now', a meditation on a 10,000 year clock (more details here); then continues with 'The Mess', a delightful song close to the heart of any parent of small children; and ends with the epic 'Derelict', a 21½ minutes paean to an abandoned swimming pool that evokes memories of bygone summers and lost childhood. This is a quite stunning collection of work, replete with great musicianship and story-telling. You can find it on Bandcamp - give it a listen, this could be one of the finds of the year!